I thought I’d drop this in as an extra quick item as the tickets may not still be there on Saturday. 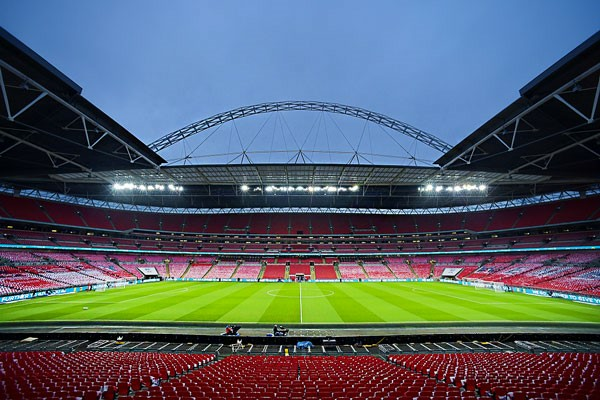 FA Cup semi-final tickets at Wembley have popped up for redemption with Emirates Skywards miles. They are NOT a bargain but if you can’t get tickets directly then this is your only option. Tickets are 26,000 Emirates miles EACH. These are not hospitality packages. There ARE VIP hospitality packages up for auction. Bids start at 40,000 Emirates miles. Remember that Emirates Skywards miles transfer instantly from American Express Membership Rewards if your accounts are already linked. Tickets for the FA Cup final will also be available at a later date. You can redeem your Emirates Skywards miles for seats here. Anyone have any idea if Arsenal Europa League will appear eventually? They did appear this season and VERY cheap. They just sneak them onto the Arsenal page without telling anyone and unless you click into the Arsenal page you don’t see them. Yes, I went to an early game in the Skywards box. Tickets were 10,500 miles each. Nice one, Spurs have been fighting the Thursday trophy for years and got nowhere. 1 League cup in the last 20 years! We’re coming for you! I know, you qualified for CL for what 19 seasons even got as far as the final but you never won it. I’m still in shock the money Jurve spending on Ramsay ! It’s not hard to get spurs tbf I won’t be surprised if we drop out of top four. Ok, thanks. Have a Napoli fan that would appreciate it I’m sure and with me being a gooner it sounds like a good evening could be had. Will just check often for them. Just one further comment – I deliberately don’t have any skywards points but would be transferring amex points to get tickets. As such no events are available to book as I don’t have enough points. So I don’t transfer points needlessly, when an event is sold out is it removed from the site? At the moment it just looks like the event is listed but sold out (as I have no points in there maybe). All of the FA Cup listings are still there so I’m assuming that it’s the case they’ll be removed as they’re sold out? The tickets only went up today. With Arsenal, they annoyingly keep up listings when ONE of the ticketing options is left (standard vs hospitality) but the other is sold out. This can be a bit of a pain obviously. That shouldn’t apply here as only standard tickets are up. Tell me which one you want and I can see if I can still put it in my basket. Thanks Rob. I’ll wait for Arsenal ones to appear (if they do) before asking for you to see what’s available. The Benfica Europa game is up for miles but no Arsenal. Makes me think they’re not going to offer it up. Napoli is a Cat C game so tickets will be available on Monday to red members from £26. Unless you have Emirates miles coming out of your ears then surely paying cash is better unless you want to sit with the prawn sandwich brigade. 26000 Emirates miles is not as Rob says a bargain. Each semi finalist had been allocated 33000 tickets, So in theory there should be quite a lot of the sponsors allocation floating around. Watford, Wolves and Brighton are not A list teams. Tickets won’t be hard to find. Wolves v Watford 7th versus 8th , should be a good game, best of the rest semi final, Citeh versus Brighton might be messy and not in good way for Brighton. Oi! Watford is my team! This is simply awful value. Neither semi will sell out. There were 15k spaces at one of last years equivalent matches. Citeh have a history of not filling their Wembley allocation.